Can Achy Joints Really Predict Rain? It’s always helpful to know the weather forecast before stepping outside, but instead of turning to apps or the local forecast on The Weather Channel, some people rely on pain in their joints to tell them when it’s going to rain. This idea has been reinforced by pop culture, folklore and likely members of your family with their own weather-predicting body parts. But according to new research from Harvard Medical School, this has no basis in actual science. The study, published in the British Journal of Medicine, found no relationship between rainfall and joint or back pain. Researchers analyzed data from insurance claims from millions of medical appointments with daily rainfall totals from thousands of National Oceanic and Atmospheric Administration weather stations. But as Dr. Anupam Jena of Harvard Medical School’s department of health care policy said in a statement, no matter how they looked at the data, researchers couldn’t find a correlation between rainfall and doctor’s visits for joint or back pain. Specifically, the study analyzed Medicare records of more than 11 million primary care office visits by older Americans between 2008 and 2012 and found that overall, 6.35 percent of the office visits included reports of pain on rainy days compared with 6.39 percent on dry days. But what about all the anecdotal evidence? Do you really need to tell your Great Aunt Ida that her weather-predicting knee pain is all in her head? As humans, we’re pretty good at looking for patterns, Jena explained, making beliefs — like the rain-joint connection — self-fulfilling prophecies. In other words, if someone expects their elbow to hurt when it rains and it doesn’t, then they forget about it. But if it does hurt and you associate it with the rain, the connection will stay with you. But before completely dismissing your grandmother’s magical rain-predicting hip, remember this is one (albeit very large) study that only focused on the times joint pain brought patients to the doctor’s office. For so many people, chronic pain is a part of everyday life and wouldn’t cause them to seek medical attention. According to the Cleveland Clinic, though scientists may not agree on whether or how weather causes pain, some attribute it to the higher humidity that accompanies falling barometric pressure. Dr. Robert Bolash, a pain-management specialist at Cleveland Clinic, says weather changes actually can affect chronic pain — especially in joints. On top of that, cold weather can make it worse, causing muscles, ligaments and joints to get stiffer and more painful. 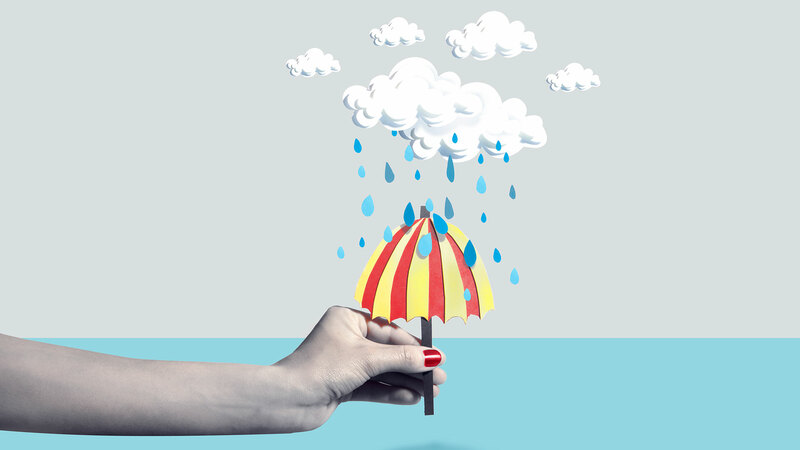 Regardless of whether the weather is behind your discomfort, take care of yourself — and don’t forget the umbrella.